Will New "Excubator" Model Increase Startup Success Rates? Over the last five years, Red Rocket has consulted or mentored over 500 startups. But, unfortunately, most of these companies have had the same problem. 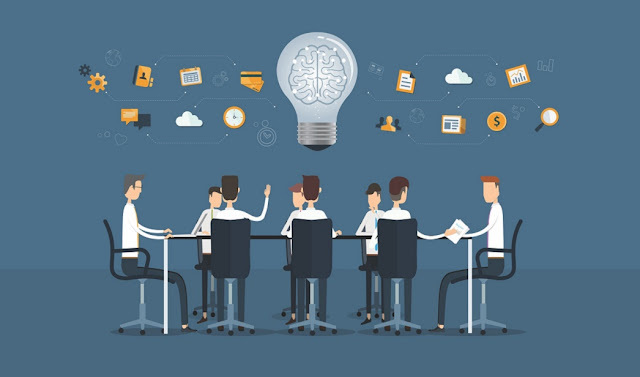 They are typically so focused on building their product (e.g., website, mobile app), that they do not raise enough capital to afford the sales and marketing activities that will be required to help them achieve their proof-of-concept”, which will allow them to better attract additional venture capital down the road. This means many startups run out of money soon after launch, with no interested investors, because they did not properly plan far enough ahead, stalling out before they reasonably had a fighting chance. The root of the problem really comes down to better education of entrepreneurs. 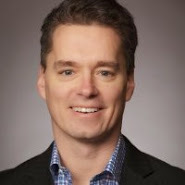 An education that should emphasize: (i) not launching a startup unless you have raised enough capital for both your product development and the required proof of concept period; (ii) having a clear understanding that proof-of-concept typically includes demonstrating to investors: (a) rapid user growth to prove demand for the product, and (b) proven customer acquisition metrics from previously tested sales and marketing channels; and (iii) knowing the best, most cost-effective sales and marketing tactics with which to start with to stretch their limited budgets. One of the first things that a venture capitalist looks for in assessing an investment opportunity is the revenue model of the business. More specifically, they are looking for the frequency of that revenue stream, and whether or not it is recurring and easily predictable. The rationale being investors prefer businesses that maximize the lifetime value of their consumers, and get maximum leverage and returns on the initial marketing cost of customer acquisition (which they are funding). With the explosion of corporate-backed venture capital funds, accelerators and incubators in the last couple years, I think the big companies are starting to realize: (i) how important innovation is to staying relevant in their future (watching rapid market share losses at companies like Blackberry, Nokia and Borders, who did not respond quick enough to competitive threats like Apple, Google and Amazon); and (ii) that they do have the right corporate personnel, speed or DNA to actually pull off innovation, like a startup would. I was curious which corporations were at the forefront of venture capital investing, with formal funds already created and investing in the market. Here were the corporations I quickly learned about from a few online searches: Akamai, Amgen, AOL, BASF, Baxter, Bertelsmann, Bloomberg, Blue Cross, BP, Cisco, Citigroup, Coca-Cola, Comcast, Dell, Disney, Dow, Dupont, GE, GM, Google, IBM, Intel, Hearst, Hershey, Hitachi, Johnson & Johnson, Lilly, Lockheed, Merck, Microsoft, Motorola, Natl. Assn. of Realtors, Nike, Panasonic, Pfizer, P&G, Qualcomm, Salesforce, Samsung, SAP, Siemens, Telefonica, Tribune, UPS, Verizon and Walgreens. What was interesting was the wide range of industries represented, with big corporate investor partners available for most any startup in most any industry. What was also surprising, was how small this list is, without all other Fortune 500 companies doing the same thing here. So, kudos to these early movers. Historically, startup accelerators or incubators were run by stand alone organizations like Techstars and Y Combinator, or in connection with venture capital funds, like Highland Capital and Lightbank, or in connection with the entrepreneurial programs at many of the leading business universities, like Stanford and Chicago. Now, many corporations are entering the mix, with their own startup accelerators and incubators, most typically tied to helping drive innovation and startups in their industry (e.g., Blue Cross targeting healthcare startups). 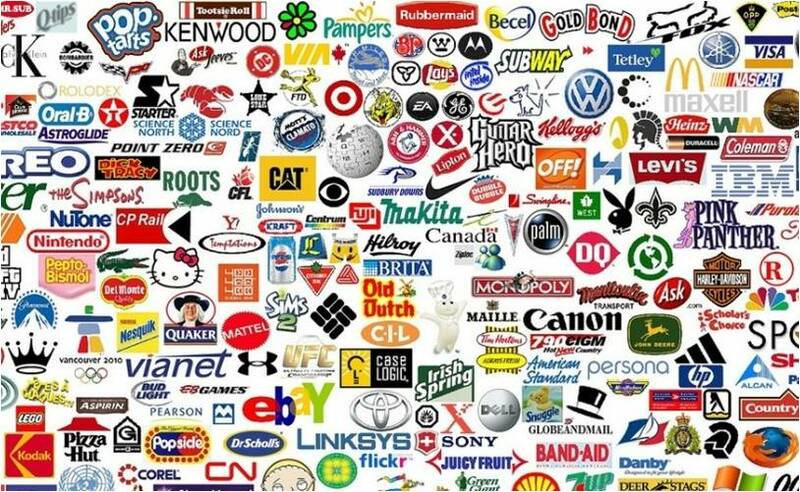 Here were the corporations I found from a few online searches: AOL, AT&T, Barclays, Blue Cross, Budweiser, Cisco, Citi, Citrix, Coca-Cola, Deutsche Telecom, Disney, GE, Google, Hershey, IBM, Johnson & Johnson, Kaplan, Microsoft, Natl. Assn. of Realtors, Nike, P&G, Pearson, Samsung, Siemens, Sprint, Target, Turner/Warner Brothers, Volkswagen, Walgreens, Walmart and Well Fargo. What was interesting here was whether the corporations built these efforts on their own, or partnered with some third party to run these efforts for them. Keep your eye on Techstars, who is powering at least eight of these corporate accelerators, getting a strong foothold in each of the key industries (e.g., powering Barclays in finance, Disney in entertainment, Kaplan in education, Microsoft in technology, Target for retail, Sony (and others) in music, and Sprint in telecommunications). Very clever moves by David Cohen, Brad Feld and rest of the Techstars team, as startups most likely want programs directly related to their industry, as compared to the more generic programs originally launched by Techstars and most others. It was also interesting to see that a few of these corporations were also opening accelerators or incubators in multiple locations around the world, to help solve their problems globally, and to better tap into local entrepreneurs by country. Very smart!! In the limited research I have done, it appears that corporations are investing approximately $8BN a year (across 560 companies) in venture capital related efforts (extrapolating out the 3Q2013 data I found). This is a big pool of money for startups to be tapping into, and most likely, didn't even know existed. But, in addition to simply writing cash checks, the corporations are also bringing their industry experience and potential "first customer" contracts to many of these startups. And, what do most venture capital firms like to invest in? Companies that have achieved proof-of-concept with contracts in hand and big strategic partnerships in place. So, taking money from corporations, may also open up to the door to other venture capital partners, as well. Not a bad deal!! But, practically, if you go down this route, it is best for you to open up a business partnership with these corporations first, so some internal business champion can sing your praises to the venture and innovation teams. As, opposed to trying to raise capital first, without a business deal in place, which will be a much harder road to plow. Hopefully, more corporations will jump on the band wagon here, as I think it will really help their own innovation efforts, the odds of success for the benefitting startups and the overall long-term global economy. Entrepreneurs are not always aware of the various financing structures that may be available to them when raising new capital to finance their growth. And, even if they are, they are not always sure what fair terms look like when receiving term sheets from investors. Let’s explore the plusses and minuses of equity vs. convertible debt vs. venture debt, understanding there are many subtleties to each of the securities below, that may not be addressed in this high level overview. Most startups get a great new idea, and their immediate instinct to start coding away on building that product with their very limited budgets. They put on the hat of a consumer using their technology and do their best to build a functional user experience in line with their original vision (which is a perfectly reasonable and expected part of launching a startup). But, then they launch their product and realize no new customers are showing up. 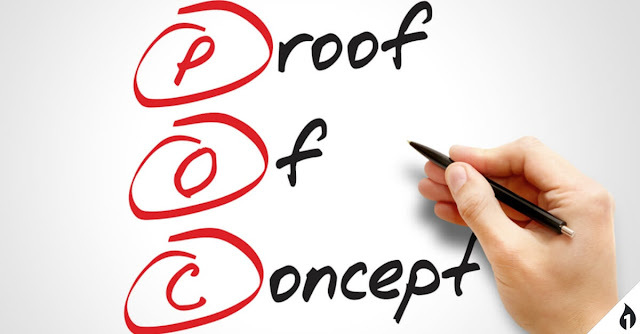 I have previously written about how most entrepreneurs do not set aside an upfront marketing budget to help acheive proof-of-concept, as part of the problem. Another part of the problem is, the founder started building out their technology, without first consulting with any marketers to figure out what they need to build a virally-engaging experience, to easily assist with acquiring new users in a low-cost kind of way from the core technology product. As an example, let's say you are building a new mobile app. Have you thought through a responsive web design or mobile web versions, vs. native iOS or Android apps, and which will reach the most users with the best consumer experience? Did you build social sharing tools within the application, so users can easily share content with their friends? Are there ways to gamify the product to make it more engaging and help spread word of mouth? Is there anything in the product that limits its appeal to prospective users? Are there ways to experiment with Groupon's highly successful 24-hour ticking clock or 500 person tipping points, which helped with rapid viral customer acquisition? Is there any "fear" built into the purchase process, you can quell with a few well-placed "learn more" links? Are there ways to build in user incentives for desired user behaviors? Does the UX create any confusion or friction impeding a user from completing a transaction? All of the above types of questions should be tackled upfront as part of the initial technology build planning discussions. As these types of marketing-related technology improvements, will help you more quickly and affordably acquire new consumers, vs. traditional higher-cost, media-related marketing efforts. And, hence, will most likely result in you pushing off certain user features or functionality to version 2.0, in order to create budget for these much needed marketing related technologies that will help with customer acquisition. The best technology in the world is useless if new users can't easily find it. So plan ahead from day one, and incorporate marketing-driven technology needs into your product right from the start. Growth vs. Profit? What Should Rising Startups Focus on First? I can’t tell you how many entrepreneurs first approach investors, either at the wrong time, in the wrong way or in the wrong format. Let’s tackle these simple-to-fix pitfalls below. Read the rest of this post on Forbes, which I guest authored this month. The Red Rocket Blog has detailed many how-to lessons about marketing for B2C companies, and driving sales teams and strategies for B2B companies, which you can re-read from the site index. And, as presented in the past, your B2B focus should primarily be focused on building strong sales tactics, to start. But, there is a also need for marketing efforts for B2B companies, especially as they get larger, to help support and complement the sales team's efforts. 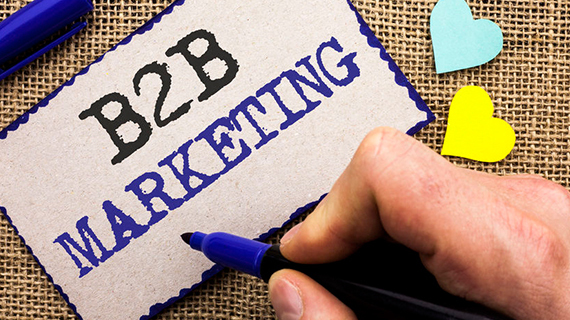 Below are the summary of key things you need for successful B2B marketing efforts. Make sure your salespeople have everything they need to be successful. Does your website look professional? Does it tell the right story, solving key problems for clients with unique, cost-effective solutions? Do you have effective sales kit materials? Are your sales scripts for phone and email leads compelling? Do you have good case studies to share? Are you promoting any awards you have won (and did you apply for them in the first place)? Are you promoting key press mentions about your company? Do you have an engaging brand video to get prospects excited? Have you organized your references and listed your client testimonials? All of these things help instill trust, and make the sales process easier. Content marketing is king for B2B companies, as we learned back in Lesson #142 with the Red Rocket content marketing case study. You want to come across as a thought leader in your space and a go-to resource for the industry. And, content comes in many forms. Does your company and/or its key executives publish a blog? Have you published any educational white papers, that lend itself well to sharing between key executives in your industry? Do you run any free webinars or in-person events to attract prospective customers? Do you maintain in in-house email lists, for consistent communications with prospects over time? Have you optimized your website for the keywords that will help drive inbound search traffic? Do you maintain social media profiles on sites like LinkedIn or Twitter and consistently share and communicate great content with your followers? Do you educate industry research analysts and bloggers so they favorably write about you? Do you participate in online forums/networking sites/listservs/LinkedIn groups/Q&A sites related to your industry (as members of those sites may have a known need you can help them with)? These are all cost-effective and a must in your B2B marketing planning. If the inbound marketing section above uses "pull" techniques, outbound marketing uses "push" techniques. This includes a wide range of ways you can get your message out there. Obviously, there are many targeted industry-related media outlets where your prospective buyers are reading where you can buy online or offline advertisting. You may not have the budgets to do everything you would like, so prioritize your efforts based on the most effective channels therein, constantly testing and tinkering with your marketing vehicles, creatives and messaging to see what strikes a chord with readers (just like you would with B2C marketing). And, this category also includes things like pay-per-click marketing in the search engines, public relations firms, to help get media promotion and support for your business, and engaging a telemarketing/lead generation firm to help qualify leads and set up appointments for your sales team (keeping your best sales guys focused on closing sales, and not sourcing new leads). Obviously, focusing your marketing efforts around members of your specific industry present some really low-hanging-fruit, high-ROI opportunities. Who are the key industry trade associations where your target buyers are members? Do those associations run any trade shows or conferences, which you can participate as a speaker, exhibitor or sponsor (in that order of rising costs)? Do they publish any virally-shareable annual research you can sponsor? Do they have a website you can buy advertising on? Do that have a direct mail or email list to communicate with their members? Do they have an active group on LinkedIn or other business networking site? Are there other creative ways you can tap into their audience? Remember, there may be third party companies that can help you more quickly or more affordably acquire new clients, by piggybacking on communications with their existing clients (who are the same target for your business). These channel sales, value-added resellers, technology marketplaces/platforms or business development partners may see interest in your product or service (as a complementary add-on to their own products or services), and would be willing to help you sell them, in exchange for a revenue share (e.g., 10% range) or a small equity stake in your business. For this to work, you need to offer them a meaningful way to drive additional revenues or a big equity return from their efforts. So, put on their hats, not yours, when pitching it. Also look for key middlemen you can leverage, like RFP management companies, that manage the request for proposal process on behalf of their end clients (to make sure you are aware of all key contracts up for bid). Make sure your business has all the technologies its needs to effectively manage its sales and marketing efforts. This includes a CRM package (like Salesforce.com), to store leads, track pipelines, management performance and communicate with your prospects. And, email blasting software package (like MailChimp or Constant Contact), to manage your email marketing compaigns. And, marketing automation technologies (like Eloqua, Marketo or HubSpot), to automate some of the lead follow up process. And, the scores of other one-off technologies you can license to help optimize your specific marketing efforts by tactic (e.g., social media analytics, pay-per-click optimization, webinar management, online presentations). It also includes any technologies you may need to build to make your salespersons' or clients' jobs easier (e.g., mobile apps they can use, automated demos). Most B2B companies spend around 5% of their revenues on marketing related activities. And, to be clear, that is a distinct and separate line item from the costs of their sales teams (e.g., salaries, commissions, benefits, travel, entertainment). So, if you are going to build a B2B business correctly, make sure you have reserved enough budget for the required B2B marketing activities detailed above. Hopefully, all you B2B companies are now better armed for long term marketing success. And, depending on your product/price and target buyer (e.g., SMB or Enterprise focused), while dictate which of the above items are the best places to start. Does Your Team Have the Right Stuff to Attract Venture Capital? Having a great, defensible business idea in a scalable market is only part of the puzzle to attracting venture capital. A more important part is having a backable management team that can pull off the execution of the plan. Below are the top traits venture capitalists desire in their startup founders. What is Better for Startups? In-House Teams or Outsourcing? Last summer, we introduced StartUp Beat readers to Ensemble’s ‘startup excubator’ model for ‘do-it-for-me’ entrepreneurs. In the last six months, we started to get calls from do-it-yourself entrepreneurs with their in-house teams saying: “What about us? We could use your help too!” This led to Ensemble launching its newest program, Presto, a one-day boot camp for do-it-yourself entrepreneurs who want credible third-party digital experts to ‘sanity check’ and optimize their own in-house plans. Entrepreneurs who are in the process of building a startup often seek mentorship, but where do professional service firms fit into the plan? Read the rest of this post in StartUp Beat, which I guest authored this week. Lesson #170: What's More Important? Your Product or Proof-of-Concept? I have had the luxury of meeting over 500 startups at Red Rocket over the last three years. And, typically, most of them approach me at the same point in their startup development. They have just finished building their new product, whether it be a website or mobile app or whatever, and they are seeking venture capital to assist them with sales and marketing to bring in new users. It is typically then, when I ask them "do you have any current users and how quickly are you growing" to point to a proof-of-concept around your startup. Which is typically followed by, "I don't have a material user base yet, that is why I need the venture capital". Then I shrug, and have to be the "bad guy" of telling them they are not ready to raise professional venture capital. A sad and familiar story, as without this round of capital, the startup will most likely go out of business, as they lack other sources. But, why is this the same old story? In my opinion, it is because entrepreneurs are so focused on their product, with their heads down coding away on some cool technology feature or functionality, that they don't think far enough ahead to what will keep their business funded. Yes, many product-driven disciples will say, "if you build a great product, users will come". And, they are right. But, the question is: by when? Startups are on a very short timeline to success, typically raising a small amount of seed capital from friends and family or angel investors. And, because these investors are not typically flush with cash, the entrepreneur simply raises enough money to build and launch their product. It was in that fatal decision, in my opinion, where most startups have placed the noose around their necks without even knowing it. Before even investing one penny in their product, they should have set a budget for their product AND their proof-of-concept marketing. Because without some dollars to seed users for your product from Google, Facebook or other targeted and affordable advertising channels, it will be very difficult to build and grow an audience large enough that will satisfy the proof-of-concept requirements of most venture capitalists. Never lose sight of the forest through the trees. Make sure you are clear on the end goal of building a successful long term business, which may require capital down the road. And, learn the requirements of those investors, right from the start. From day one of your startup, set aside a proof-of-concept marketing budget with which to drive initial users to your product. Proof-of-concept is typically dictated by the quantity of users you have attracted, and how quickly you are growing month-over-month. So, raise enough marketing dollars to build a large enough initial user base (e.g., 100,000 app downloads), doubling in size month over month. And, most investors will want to learn your marketing metrics around a profitable cost of acquisition per user. So, you can't just waste your marketing budget, you have to test and tinker with it until you find the profitable relationship between marketing spend and revenues per user. If you don't raise this money upfront, it will be near impossible to raise it later, given the proof-of-concept requirement of the venture investors. If you proceed in raising enough capital for your product only, you are walking down a very slippery slope towards startup failure, before you even had a reasonable chance for success. This is the reason 9 in 10 startups fail: they didn't plan far enough ahead, because they didn't know any better. No surprises here, you can probably guess where I am heading. In my opinion, proof-of-concept is materially more important than the product for any startups desiring to raise venture capital down the road. As without it, there will be no capital to save your business from running over the cliff. Look at CraigsList and Wikipedia as examples: they aren't very pretty sites, but they were functional enough to attract a huge user base. So, everyone stop what you are doing with your products, take some time to understand what will be required of you from a proof-of-concept perspective with new investors down the road, and align all of your immediate efforts around those clearly defined goals and metrics. 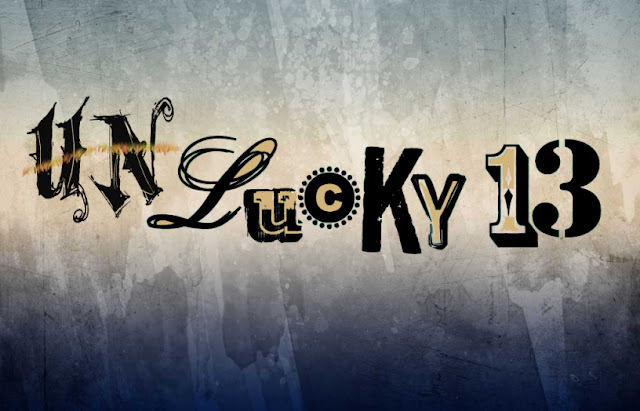 To help you here, check out this companion Red Rocket post on how to budget and test your proof-of-concept marketing. I am not sure how many of you remember the 1989 film, Field of Dreams, starring Kevin Costner, who plays a farmer who builds a baseball field in the middle of an Iowa cornfield, after hearing a voice tell him "if you build it, he will come". And, sure enough, despite people thinking he was crazy, people did end up coming to watch a bunch of baseball legends of years gone by, reunited for a modern-day baseball game. I often feel that startup entrepreneurs are building their own Field of Dreams, when launching their startups. But, unlike the Hollywood script, often times the sad reality is: "if you build it, they may not come", especially without any foresight to building a sales and marketing plan and budget to help get initial users engaged with your product. Most startups are so focused on building their products (e.g., website, mobile app), that they simply raise enough seed capital to fund that development project. They often have little cash left in the bank, with which to start driving prospective customers to that product. This leads them to errantly go out, hat in hand, to the venture capital community, looking for capital with which to use for their sales and marketing efforts. The problem is, most venture capitalists do not fund companies until there has been a sufficient proof-of-concept around that business. This typically means a large and growing base of website traffic, customer pipeline, revenues or other metric which proves there is solid demand for the product. In addition, most venture capitalists are looking to accelerate proven marketing initiatives that have been successfully tested in the past. They do not typically hand out sales and marketing dollars for entrepreneurs to experiment with. Most entrepreneurs learn this hard fact way too late in the process of building their business, often burning out of cash before the company had a reasonable chance for success. Had they planned ahead and pre-funded the required sales and marketing efforts that would be needed down the road, before they even got started with their development efforts, they would have raised enough seed capital, to fund both the product and the proof-of-concept marketing. In this scenario, when they ultimately do seek additional growth capital from venture capitalists, the odds of closing that capital would be materially higher, with their proof-of-concept behind the company. Too many entrepreneurs think they are living in a world much like Field of Dreams. Not all startups are going to attract initial users on their own. Not all startups are going to light a viral fire, like Groupon or Pinterest did. They are the rare exception. For most startups, driving initial awareness and users is very difficult, and can get expensive as you are testing ad buys on Google, Yahoo, Bing, Facebook, Twitter, LinkedIn or elsewhere, looking to find your "magic bullet" with a profitable customer acquisition cost to scale with. Yes, I agree with many people, that if you focus on building a great product, the customers will surely follow. But, the question is, by when will they come, and do you have enough cash runway to bridge your path to profitability? In most cases, you will not. So, before you even get started, make sure you raise enough money to cover the required sales and marketing efforts to allow you to acheive your proof-of-concept, and hopefully, make you a much more attractive venture capital candidate down the road, for the next phase of your growth. Lesson #168: Start Thinking Globally Now -- 3.5BN People Are Waiting!! In 2013, Cisco forecasted how large the world's Internet-using population would be by the year 2017. The data was quite staggering. The global online user population is forecasted to grow from 2.3 billion people in 2012 (32% of the world's 7.2 billion population) to 3.5 billion people by 2017 (48% of the world's 7.6 billion population). The Asia-Pacific region is forecasted to continue to be the largest overall market, and the Middle East-Africa region is forecasted to continue to be the fastest growing market. And, although the global user base is forecasted to grow an impressive 52% during this four-year period, the amount a data consumed by these users is forecasted to grow 175%, with the mass proliferation of internet video and a growing number of mobile devices. So, make sure you are building your technologies on the best platforms in each region (e.g., mobile phones are the primary consumption device in Africa). Let's put this research into perspective. Today, according to Wikipedia, there are 254 million online users in the United States (representing 81% of the 314 million overall population in the U.S.). That means over the next four years, Cisco's forecast of 1.2 billion new internet users across the globe, is like quintupling the size of the current U.S. online user population. That is a lot of people coming online, most of which is coming from overseas! So, why does this matter to a bunch of startup entrepreneurs? If one of the goals of a startup is to target as large of a market as possible, it suggests there may be "bigger fish to fry" outside of the United States, where most U.S. startups first launch their efforts. Even if we use China as one example, already today, China's 568 million internet users is more than double the 254 million online users in the United States. That means if you launched a product that appealed to the both the Chinese and the U.S. markets, you would have 2.2x the reach and revenue potential day one if you started with China. As an example, just look at the success Berlin-based Rocket Internet has had with a global startup focus in the e-commerce space. This startup incubator/venture investor has launched over 100 global companies in the last six years, which now employ over 20,000 people in over 50 countries and generate several billion dollars in revenue. Now, that is a case study worth studying (further detailed on the Red Rocket Blog). Don't let overseas companies globally copy your good startup ideas at home, to then build up a leading market position in these lucrative international markets before you get there. 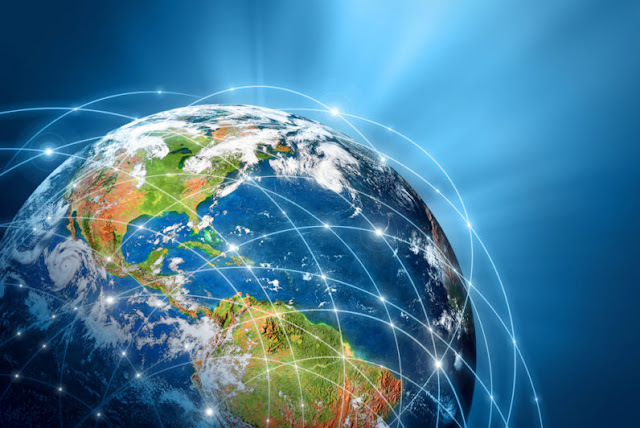 Think globally as soon as you have acheived your proof-of-concept at home, and consider partnering with key players with local expertise in the big international markets, if necessary, to accelerate your own stand-alone efforts in those countries. The goal of this article is to drive home the point that the Internet is a global medium, with over 90% of the world's internet-using population, forecasted by 2017, to be located outside of the United States. That means with a U.S.-only focus, you will only be appealing to 10% of the world's online population. The sooner you start thinking globally, in terms of your development and marketing efforts, the faster your globally-generated revenues will follow, and the faster you will control your own international destiny. During my tenure at Red Rocket, I have had exposure to over 500 startups in the last few years. I have seen really good startups and really bad ones. Below is a summary of the recurring problems I have seen in the flawed startups, and where relevant, how venture investors typically react to such problems. Investors tend to bias ideas that throw out the largest nets possible, in terms of potential customers. They would much rather back the next Google, whose product appeals to everyone and anyone, than a small niche business that only appeals to a very narrow market (e.g., whitewater rafting business on the Zambezi River). Niche businesses are OK if you are going to run it as a lifestyle business for yourself, but not to attract professional investors. And, investors tend to prefer businesses in sizable industries that are easily scalable, translated as more technology-driven than human-powered, where they can drive higher margins over time. Often times, entrepreneurs launch businesses they think are good ideas, but they never took the time properly research the market. Investors don't want to back the 10th startup in a space, they would much rather back one of the first movers. Especially, if one of the others in your space has already raised a boat load of venture capital to fire bullets in your direction. And, in all cases, you want to make sure you are clearly differentiated from the others (e.g., better product, better value, different target client) and that your plan is defensible against future market entrants who may follow you after your preliminary success. Entrepreneurs are typically so focused on building their product, that they don't think far enough ahead to their go-to-market strategy, and how that will help them to acheive a proof-of-concept to attract growth capital. You always need to raise enough capital upfront to not only build your product, but to effectively test your sales and marketing tactics. This will allow you to demonstrate your business is seeing nice preliminary growth and traction, and that you have tested and identified a profitable customer acquisition plan with affordable economics. It is hard enough launch one business, yet alone try to launch multiple different businesses all at the same time. As an example, I was working with one software business that was trying to tackle both the B2C and B2B markets at the same time, and within the B2B space they were trying to market to ten different industries therein. What they didn't realize is that the go-to-market strategies and required team members were completely different by each of those channels. They were trying to be a jack-of-all-trades, but ended up being a master-of-none without a laser-sharp focus to start. If you are trying to paddle upstream, no matter how hard you paddle, the current is going to take you backwards. Many entrepreneurs stay heads-down marching in the same failing direction. They need to know when a pivot is required, while there is still enough capital in the bank and enough time to implement the changes. You need to constantly test and tinker with your startup until you land on a winning direction. Sometimes that is a big pivot, from a B2C to B2B focus, as an example. And, sometimes, it is a small shift by selling into the healthcare industry instead of the insurance industry, as an example. If an entrepreneur does not exude passion about their product, they will never love their startup well-enough to get through the goods times and the bad. And, they will never attract the best management team or investors, if their passion does not rub off on others too. Furthermore, even if you have the passion, you need to have a persistent mindset that regardless what hurdles get thrown your way, you are going to figure out a way through them. Startup teams need experience thinking, acting and operating like a startup. So, never try to put a Fortune 500 management team inside a startup, because typically they don't think like startups, with shoestring budgets and roll-up your sleeve mentality around the clock. And, investors do not want to back a person, they want to back a complete team, in case you get hit by a bus. So, make sure your senior team is up and running, and gelling with each other, before reaching out for capital. If you are going to ask your team to jump through hoops to follow you into battle, you better make sure they are properly incentivized and motivated to help you succeed. Some entrepreneurs try to keep 100% of the equity in their own hands. But, to me, a management team needs to have the same incentives as the founder, and putting 15-20% of the company into the hands of your employees will be a lot more motivating and loyalty-instilling to them, and materially improves your odds of success. And, nothing is more expensive or unproductive to a startup, than having a revolving door in your management team. Entrepreneurs should not be "lone wolves". They need to understand they are not in this battle by themselves. Many cities have established startup ecosystems for them to tap into for mentorship and learnings from battle-tested serial entreprenuers or venture capitalists. So, make sure you are well networked and surround yourself by people who are best experienced to pass their relevant learnings on to your business, so you don't repeat the same mistakes they made before you. OK, I understand many startups may not have a revenue model day one, trying to quickly build up a large audience and monetizing it later. But, there better be a clearly communicated revenue plan for when that day happens down the road. And, that revenue plan needs to be material enough, based on credible assumptions, to make it enticing for an investors to get excited and to justify your current valuation. For some products, consumers will never pay for them based on free alternatives available online. So, if you are hoping for advertising to make up the shortfall, you better have a clear and affordable roadmap to millions of users to get the attention of advertisers. Otherwise, a "freemium" or e-commerce drive model would be preferred. First of all, make sure you are raising enough money out of the gate. That means raising enough to build your product and to acheive your proof of concept. And, preferably, that amount is large enough to at least carry you 12-18 months. When you fund your business piecemeal over time, you will never get out of fund raising mode (vs. business building mode) and you risk burning out of money before your business has a reasonable chance for success. And, whatever capital you think you will need, double it for a cushion, as things always go wrong. Also, when you first reach out to VC's, make sure your team and your business is ready, and is well researched and prepared to walk into that meeting with enough traction and a winning-plan that will get their attention. Whether you are investing in your own business, or raising capital from outside investors, you need a clear roadmap to at least a 10x return on your invested capital. With a one in ten odds of hitting it big in the startup world, investors need lots of 10x opportunities to offset the much larger base of zero returns that will be realized. So, when pitching investors, put on their hats. If you are asking for $1MM for a 20% stake, you need to clearly communicate how your current $5MM post-money valuation is going to become $50MM over the next five years with the monies raised, based on reasonable assumptions. Sometimes, businesses fail for no fault of their own. They may have had a good idea but some external thing that was out of their control took them down. Imagine being a travel business after 9/11/01, or a new home builder after the mortgage meltdown, or a restaurant on a road that just got cut off by construction, or a startup that just got impacted by an unexpected government regulation. During those times, it is often best to go into "hibernation", waiting for the conditions to improve down the road, so you can live to fight another day. 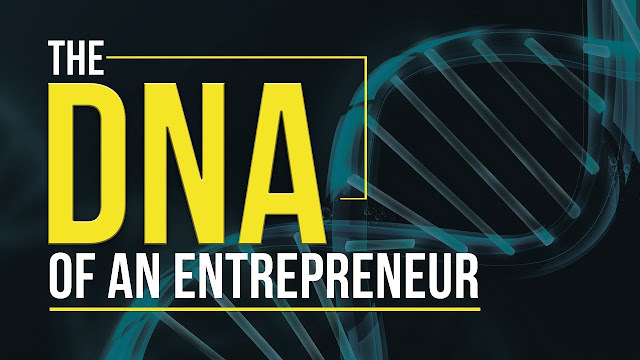 Lesson #166: Is Entrepreneurship Learned, or Wired Into Your DNA? The age old question is whether or not good entrepreneurs are born that way, or whether such entrepreneurial skillsets can be learned. Let’s try tackling the answer to this question, by defining which skillsets make for a good entrepreneur, and whether or not they can be taught. Not everyone is born an Albert Einstein. Some people are naturally intelligent and have high IQ scores, while others struggle in this area (with a whole lot of people in between). I am not saying you need to be genius, to be successful as an entrepreneur, as many geniuses are very book smart, but not street smart. But, intelligence certainly goes a long way. But, to be fair, people are not born intelligent, they are most-typically taught the information required to accumulate intelligence. Score: Learned 1 - Wired 0. Anybody can be smart about the current status quo. But, very few people can actually see “outside of the box” to imagine new and innovative ways of solving current world problems. You typically cannot teach imagination. You are either imaginative or you are not. Score: Learned 1 – Wired 1. Nothing helps move a startup along like a good “fire in the belly”. Especially, if that energy is focused around a product that an entrepreneur is passionate about. That is why my past startup, iExplore, was successful, based upon my passion for adventure travel. Passion is particularly important for exciting prospective employees, customers, partners and investors. You either have passion and can instill excitement, or you do not. Score: Learned 1 – Wired 2. Entrepreneurs need a “succeed despite the hurdles” mentality and drive. Most startups have a lot of challenging periods in their growth, and if you are not persistent enough to “slog through the mud”, you are never going to succeed or survive. Believe me, it would have been a lot easier for me to shut down iExplore in the wake of 9/11/01, and its impact on the travel industry. But, then I wouldn’t have had the battle scars from a won war, and a successful exit for my investors. You can’t teach persistence. Score: Learned 1 – Wired 3. As far as I know, you can’t teach someone not to be scared, or not to boldly go where others have not gone before. Yes, you can teach a person how to assess or minimize risks, but in my opinion, this category leans more on the side of wired. Score: Learned 1 – Wired 4. Entrepreneurs need to do a good job of communicating their vision, listening to input from others, selling through the vision to employees/partners/investors, building teams and motivating employees. For the most part, many of these skills are basic business skills which can be taught (although I could have easily shared the vote here with wired given the intangibles required here). Score: Learned 2 – Wired 4. The most successful entrepreneurs have had some exposure to their industry, typically from a previous work experience, where they had on-the-job training that prepared them for their big venture. Score: Learned 3 – Wired 4. So, despite a valiant effort from “learned”, “wired” hangs on to win by a nose. But, the overall point here is: it really isn’t one or the other, as you really need both to maximize your odds for success, and a 7-0 shutout victory!! This post should be read in combination with my “How VC’s Define a Backable Management Team” post, to not only see if you have the right skillsets for entrepreneurship, but to see if you will be perceived as fundable by investors (with access to capital being another one of the magic ingredients you may need over time). Lesson #165: The 4 Types of Entrepreneurs? Which Type Are You? The other day I read an interesting book called “Entrepreneurial DNA” by Joe Abraham, the founder of BOSI Global, an operating partner to venture-backed and owner-operated companies. 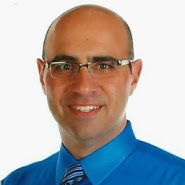 The book is based on Joe’s study of over 1,000 entrepreneurs. The research confirmed the discovery that all entrepreneurs are not all “wired” the same way. The book suggests that entrepreneurs fall into four distinct types of "entrepreneurial DNA’s” that leverage unique strengths, weaknesses and tendencies that are typical in each specific type of entrepreneur. A Builder: A drive to build highly scalable businesses very fast. When this DNA is high in an individual, they break past $5 million in revenue within 2-4 years and keep going to up to $100 million. That's because these individuals measure success through a very unique lens - infrastructure. It drives the decisions they make and the strategy they build and deploy. They aren't satisfied with a certain amount of personal income or goodwill toward man. They are Pied Piper-like individuals who are master recruiters of talent, investors and customers. Builder DNA activates certain behaviors like a controlling temperament - leading to a Dr. Jekyll and Mr. Hyde like demeanor in the office. Individuals with high Builder DNA tend to struggle most with personal relationships - and typically have a revolving door of talent in their companies. An Opportunist: Picture Sir Richard Branson and you have a pretty good idea of what Opportunist DNA is all about. Individuals wired with this DNA are highly optimistic master promoters. They enjoy marketing and selling. They are wired to sniff out well-timed money making opportunities, jump in at the right time, ride the wave of growth up and (hopefully) jump out at the peak. Opportunist DNA measures success based on the amount of money they make (or will make) when they aren't working. So they are drawn to business opportunities where leverage can be used to create residual and renewal income. This behavioral preset in entrepreneurs makes them impulsive decision makers - especially when it comes to money-making opportunities. A trait that can serve them very well or be the source of their demise. A Specialist: This DNA activates in the experts of our world. No sooner does an individual go through years of schooling, apprenticeship or on-the-job training does this DNA activates - driving the corresponding behaviors. Specialist DNA drives one to be very analytical, relatively risk averse and anti-selling. Specialists generate most of their new business from referrals and networking. They measure success based on their personal income. Their businesses tend to grow fairly well in the startup and early growth phase, but as soon as their personal income hits preset targets, their internal thermostat kicks in - and they go into customer service mode. Research found that most Specialist-owned businesses plateau in revenues well below $5 million. The ones that get past this level take significantly longer to do so than Builder DNA companies, often decades. An Innovator: Picture Mark Zuckerberg in the movie The Social Network and you'll see Innovator DNA activating in the entrepreneur. Like most Innovators, he was doing something he loved, when a business opportunity popped up around him. The breakthrough discovery typically drives this entrepreneur in the "lab" of their business - where they want to invent, design and tinker. They would much rather be in the lab of their business than at the cash register or in the business office. They find operating a business draining. They measure success based on the impact their product or service is having on mankind. "It's not about the money" you'll hear them say. "I'd do this for free for the rest of my life if I could". Individuals with high Innovator DNA control most of the great intellectual property of our time. Unfortunately, they hide in dungeons and find it hard to engage in "business" discussions. So what does this all mean? For centuries the approach to entrepreneurship has been - what worked for one entrepreneur will work for every entrepreneur - because after all, entrepreneurs are all the same. This research has proven that entrepreneurs come in very different profiles. Some of us are Innovator-Builders. Others are Specialist-Opportunists. Knowing your DNA and the DNA of those surrounding you is mission critical to selecting the business, strategy and team best suited for you. Just because it worked for Richard Branson (Opportunist-Builder) or Bill Gates (Specialist-Builder), doesn't mean it will work for you. Based on the above classifications, I am an Opportunist-Builder. If you are curious what type of entrepreneur you are, you can take a free assessment on the BOSI DNA website. 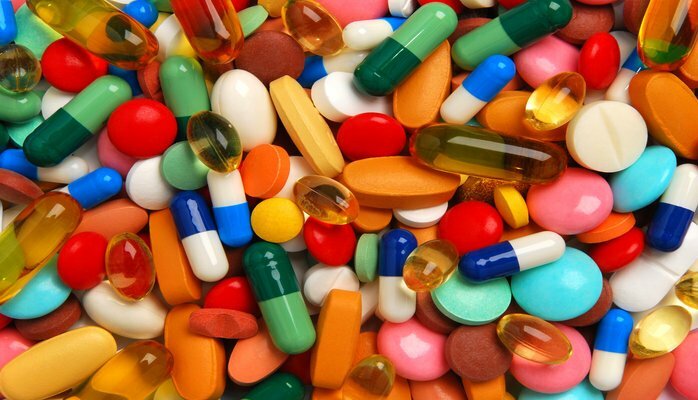 Lesson #164: Is Your Startup Building a "Vitamin" or a "Pain Killer"? The other day I heard a great entrepreneurial panel discussion, including Mahendra Vora, the founder of Intelliseek (sold to Nielsen) and now a Cincinnati-based venture capitalist. He was advising the entrepreneurs in the room to make sure their startups were building “pain killers, and not vitamins” for their clients, in order to get their attention and build a sizable business of scale. I thought that was very sound advice, worth detailing into an educational post on the difference between “vitamins” and “pain killers”. I like to think of vitamins as “nice to have, and not need to have”. Often times these are “features or functionalities”, and not major platforms. And, just like in a drug store, preventive vitamins are optional whether or not you use them, and if you do, it is priced at a major discount to the expensive pain-killing prescriptions behind the counter that you have today, to make your immediate health problem disappear. As an example of a vitamin-type business, I recently met a B2B e-commerce company that could help their clients more easily load SKU-level product information into their websites and e-commerce platforms (e.g., Magento) via an API feed with their vendors. I said that doesn’t feel like a real business, but more of a feature that Magento should be improving within their own e-commerce platform, which many retail clients were already using as their core technology solution. If there is really a client need for easier data load, they are most likely already complaining about it to Magento, who should have added the fix to their future product development calendar (hence, removing the need for your business down the road). On the flip side, pain killers are typically helping their clients to materially drive more revenue or materially lower current costs out of their business. And, even better, they are doing so with established line item budgets, not requiring new budgets to be created, which can take time and slow down your sales closing process. What client is not going to react favorably to “how would you like to lower your current costs by 33%, and not have to spend a single penny more than you are already spending today”? As an example of a pain killer-type business, I recently met a B2B healthcare payments company that was helping to lower doctors offices’ bad debts expense from 40% to 5% by helping them to collect funds upfront at the time services are delivered, instead of 30 days later with an invoice in the mail. In a $100BN segment of the industry, that is a $35BN problem they are solving, moving those previously-lost dollars directly back into the hands of the doctors. What doctor’s office isn’t going to want to install a technology product that can help them increase their annual revenue collections by 35%, by simply changing their billing process from deferred to upfront collections? We all need to take a critical look at our businesses, from the perspectives of our clients. If you were in their shoes, not yours, is it something they really need today, helping them solve big pain points with established budgets. If so, proceed full steam ahead. If not, you could have a long haul in front of you, for a low revenue potential business, and most likely need to make a pivot into a bigger market opportunity direction. Lesson #163: Should a Startup Offer Employee Benefits? In years past, companies of all shapes and sizes needed to offer a good employee benefits program, with which to attract the best candidates. That was even true for early-stage startups, since that was one of the hooks to get someone to leave their big company jobs and rich benefits packages. But, a lot of things have changed over the years, and my feeling today is early-stage startups should not worry about offering benefits. If you can afford them, great, offer them. But, honestly, how many startups can really afford them, on their tight startup budgets. 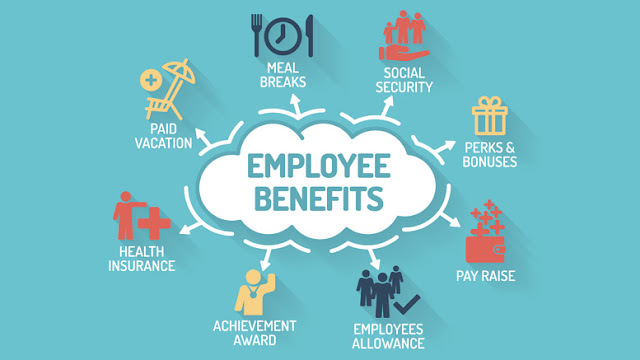 To help me frame the topic, I am going to focus a lot of my discussion around healthcare benefits, since that is typically the most demanded, and most expensive of all employee benefits offered. First of all, healthcare costs are rising so quickly (a whopping 15-20% per year, 5-6x the rate of inflation), that even many big companies are cutting way back on the amount of healthcare benefits they are offering their employees (e.g., lower percentages of costs covered, less benefits for non-employee family members, HMOs vs. PPOs). Secondly, individual plans have never been easier to source, especially in the wake of the Affordable Healthcare Act (AHA), so employees don’t necessarily need a company-sponsored plan to get access to affordable healthcare. And, thirdly, many employees are very “mobile” in their careers, jumping from company to company every couple years (and hence don’t want to have to re-apply for health coverage every time they move jobs, and prefer a more “portable” plan that moves with them from job to job). I spoke with an insurance broker, to get a sense of how many startups were actually offering healthcare benefits. Here is what I learned. For companies with 2-15 employees, approximately 35% offer healthcare benefits (so 65% of those startups have decided not to offer it). And, for companies with 16-50 employees, a materially higher 65% of such companies are offering healthcare benefits, as their budgets grow. And, the AHA law, all companies with 51 or more employees will now be required to offer healthcare. So, this helps validate my assumption: early-stage startups should not feel like they have to offer benefits, but as revenues and profits scale over the startup’s development, more and more of them do, and will have to, after they get to the 51 person requirement point. In addition, I wanted to know for the companies that did offer healthcare benefits, how much of the plan costs are the companies actually paying for. The 2-15 employee companies are typically only covering around 50% of the plan costs of employees and 30% of the costs of any additional family members. And, for 16-50 employee companies, they are typically covering around 70% of plan costs of employees and 50% of the cost for any additional family members. So, once again, the level of benefits offered scale up with the company’s size, when they can better afford to offer such benefits. So, if benefits are not the key draw for attracting early-stage startup employees, what are? Let me count the ways!! Firstly, hopefully the employee is getting equity in what could become a huge financial windfall, if the company is successful (albeit with high risk here). Secondly, the employee has a lot more responsibility and fun working inside a nimble, early-stage startup, compared to working a “cog in the wheel”, routine job within a big company. And, thirdly, there is nothing more personally rewarding than being part of a team that is building something from scratch and seeing it succeed. So, rest assured, all you early-stage entrepreneurs. If you are not offering benefits today, it is not a big deal these days, as you are in really good company among your peers.